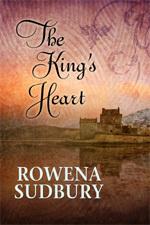 Rowena Sudbury writes m/m romance and is published with Dreamspinner Press. If you read this journal, please consider adding it to your friends list. If you don't have a LiveJournal, you can create a free account here. From time to time there are entries that are limited down to friends. Don't miss out! Apparently Photobucket has changed their policy, and many of the entries in this journal have broken image links. Right now it seems too overwhelming to figure out what the images were and re-upload them here to LiveJournal. My apologies. Sorry, but I've had to change this journal's settings to only allow comments from registered users. I'm getting far too many spam comments, even with the catchpa enabled. Sorry for the inconvenience. I haven't updated in six months, but I do intend to update again in the near future. Well, here I am, retired from my day job as an elementary school teacher. I guess one of these days I'll get someone to take a picture of me, one I can use for publicity. The reason I never have, aside from the one picture I took while I was bald, is that I was afraid a parent of one of my students would find out, and probably not be okay with their child's teacher writing erotica. I still may wait a bit, but one of these days. As I mentioned the last time I felt inclined to write, I'm thinking about continuing The King's Trilogy. In fact, I did put a bit of time in on chapter one of the third book The King's Son. Prior to that though I re-read both The King's Tale and The King's Heart, to get myself back into the world of Lysnowydh. 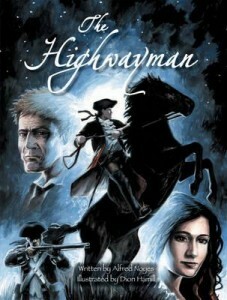 I started on the first book in late 2005, and the first edition was published in 2009. The second book, and the 2nd edition of the first book, were published in 2012. Although I knew the outcome of both stories, it was fun reading them again. Reading and criticizing, of course. I've said before, I was asked to make a pretty major change to the ending of The King's Heart. The "event", taken in modern context, was pretty shocking. In medieval times, and considering King Christopher as a character, it was probably fine the way it was. But, it's in the past, and during this recent re-reading I came to accept the fact that I'd changed it. This is just one example of how Dafydd is unwilling to leave the safety of the castle (I'm trying to get away from calling it "the keep"). Obviously he's reluctant to venture to Strasnedh, as that was the site of his torture at the hands of Warin. Later on he shows he's unwilling to even travel about the kingdom, let alone venture all the way to London. Each time Christopher is angered, each time Dafydd is saddened. When I wrote that, I had no idea how true this would be for Dafydd. I think I questioned myself, would Dafydd really be that cowardly? Of course, I was building to Dafydd fleeing across the kingdom of Lysnowydh, Christopher in pursuit, to prove he wasn't a coward. But, I have a whole different take on it now. Unfortunately, I've had to see first hand how much chronic illness (or in Dafydd's case, the long period of time where he recovered from Warin's torture) can make a person anxious. Especially anxious about leaving the safety of home. For a year and a half, I didn't travel anywhere. Sure, trips around town weren't that stressful, but get me even a few hours away from home base and I began to fret. I'm fine now. All major issues have been dealt with for well over a year now. I should be free as a bird. Yet, we are planning a short trip in a few weeks. As part of our retirement gifts our coworkers gave us a gift certificate for our favorite romantic bed & breakfast. It's a fabulous place, and I know we'll have a good time. But, there is a part of me that just doesn't want to go away from the safety of my hometown. Much like Dafydd, needing the safety of home. So, there you go....what I thought was simply fiction turned out to be truth. When I was young, that's what my mom would say when one of us piped in on a family discussion. So, here I am, piping in after what seems like a very long time. 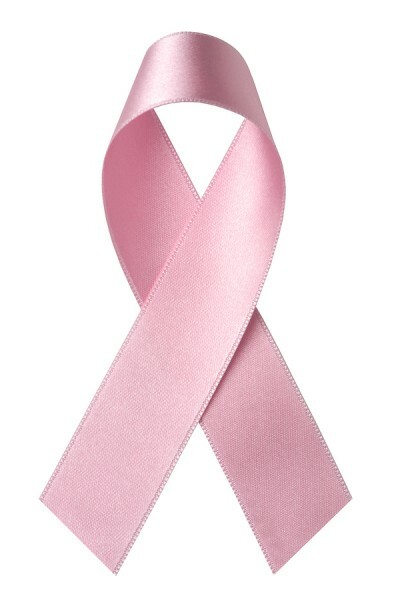 I was very open about my struggle with breast cancer. I didn't mind sharing all the ins and outs, and ups and downs of getting diagnosed, having a mastectomy, and going through chemotherapy. It felt good for me to be sharing it somehow. I finished my last round of chemo on February 21, and was declared in remission. I'll never be cured as the cancer got into my lymph nodes, so apparently there's always a chance it will come back. I felt great for a week, started to get back to feeling good again. And then, everything started to go downhill. Although I was open about my breast cancer, I feel less inclined to be open about the roller coaster ride I've been on since the middle of March. Perhaps it's that I feel protective of myself. I'm convinced that what touched the whole nightmare off was the aftermath of chemo, starting with one of the more troublesome side effects and going forward into trying to recover from massive surgery a mere four weeks after chemo finished. My body just gave out and said, "no more, I can't do anything more now except make you worse." It was a classic case of what can go wrong will go wrong. I'm not really better yet. I still have a few lingering nasties to deal with. I have little to no energy, but I am working with a physical therapist 3 times a week, and through that I'm able to do small things like go grocery shopping (did that this week for the first time since March). Of course, I have no stamina for writing, so again that will have to wait. I have realized that I've let a few things lag that I'd intended to keep up with. First of all the "Wow" I was posting on Facebook. I was almost done with The King's Heart, and I suppose I can muster up the energy to finish that off. The other thing was the character journal entries for Brad and Scott. I finished Scott's, but still have to tackle Brad. Not sure if or when I'll get to that. The Magic of Lammas: My "bestseller"
I'm planning a much longer update sometime in the near future, but this is all I have the energy for today. During the production stages for The King's Tale DSP was looking for submission for an anthology called Curious. It was aimed at getting women who were curious about m/m romance. I remember the first time I heard the term "slash" I was confused about what it meant. In my head I associated it with "snuff" so I thought "Well yeah! I'd never kill off one of my characters so I don't write slash!" Then I found out what it really meant, and I did become curious. The first ever slash story I read was written for the La Femme Nikita fandom (where I was also writing het fanfic at the time). I'm talking the original version of this television show, with the hunky Roy DuPuis as Michael. I read this slash story, and it involved a shape-shifter. He/she was a man for Nikita, and a woman for Michael, until they all ended up in bed together and the shifter remained as a man. I was intrigued enough to search out other slash stories, and although I never wrote my own LFN slash, I began writing my own little stories that featured men. So, when DSP was looking for these stories for Curious I decided to submit one of my King's Tale fanfics. :O Yes, I wrote fanfic for my own novel, is that crazy? It was a story about Lammas, and Marged was newly a member of the Lysnowydh clan. On Lammas night, Christopher and Dafydd included Marged in their feast of oysters, and somehow the three of them drifted back to the castle and slept together. Yes, I know, it sounds crazy now...but I had been curious about what it would be like, so I wrote it. Well, DSP was not crazy about the story...I guess it smelled like cheating, and in the end it's true...the love between Christopher and Dafydd is really way too strong for that kind of nonsense. But, they did suggest I re-work the story to omit Marged, and then it could be offered as a free companion story. The idea being that it would spark people to want to buy The King's Tale. So now, four and a half years later, "The Magic of Lammas" is my all-time "bestselling" story. For four solid years it was on page one of the ARe Medieval bestsellers. A few months ago it dropped to page two, but it's roared back up to page one now. It's also on the bestseller list at DSP for their free-fiction category (the oldest story on that page). When I check my author account, it's shocking (to me anyway) how many copies are down-loaded. I wonder if it does make people curious enough to then buy The King's Tale and The King's Heart? The only way I can judge it is that both books are still selling, so that's good, right? Like, it doesn't seem as though it's proportionate to the number of free downloads, but I'm not complaining! On that note, I'm still posting The King's Heart WOW at Facebook. They changed the "embed post" feature, and I notice that all of them pretty much disappeared from this blog. There are links to them, but not a preview. I'm still noodling with my Wordpress account, but it's so confusing I haven't gotten very far yet. One of these days! I've started posting the WOW for The King's Heart over at my Facebook page. For some reason it's not letting me embed the posts here, so stop on over to check it out. The King's Tale WOW: The end without giving it away! The King's Tale WOW: Advancing the story without giving away the end! The King's Tale WOW: A shocking twist! The King's Tale WOW: King Warin abducts Marged!